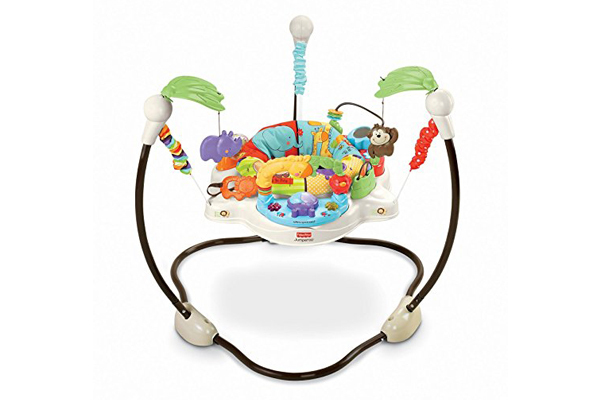 Your child will love being able to spin and jump in the Luv U Zoo Jumperoo. 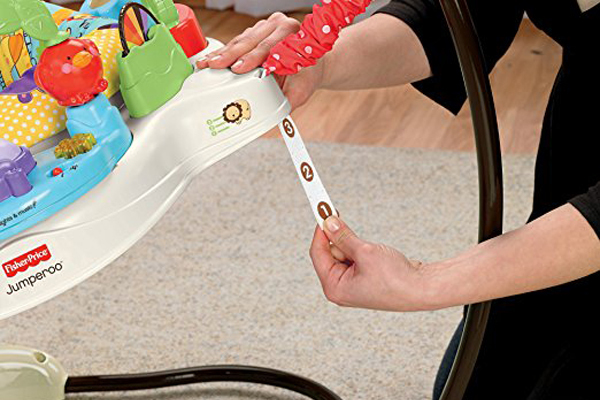 A bright and cheery zoo-themed tray plays music, makes animal sounds, and lights up with every movement. It’s fun and rewarding to pull and tug on the hanging mobiles to discover cause and effect. 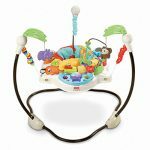 Whether your baby is turning, jumping, or grasping, the Jumperoo encourages gross motor development, hand-eye coordination, and introduces baby to a variety of textures, shapes, and colors.